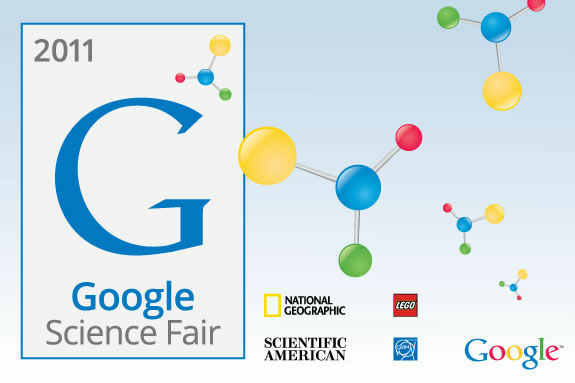 Google, in collaboration with Lego, National Geographic, Scientific American and CERN (the European Organization for Nuclear Research) is calling for entries for the world's first, global science fair. The Google Global Science Fair is open to students aged 13 through 18. Kids can enter on their own or in teams of two or three and the deadline for entries is April 4th. The prizes are incredible and feature real, meaningful scholarships as well as hands-on, educational trips to the Galapagos and CERN. You can learn about the Google Global Science Fair on its dedicated website. If you have a budding scientist in your life, please encourage him or her to enter this science fair. If your budding scientist isn't interested in the contest, encourage that young Marie Curie or young Albert Einstein to keep doing what they're doing. The solutions to the world's myriad problems are in the minds of scientifically-inclined young people. Those young minds need all of the support and encouragement they can get. There was a time in the United States when investing in science education and science research was a civic virtue. Now it seems that the very expression civic virtue is passé. I hope that something like the Google Global Science Fair can begin to change that. As the end title of this video says, Science connects the world. I agree Paul, "Science connects the world" but as we have seen these past two days, Mother Nature reigns. No one's denying that but the only way to understand, predict and mitigate her reign resides in labs and classrooms.